Angina is a condition marked by crushing pain in your chest that may also be felt in your shoulders, neck, and arms. The pain is caused by inadequate blood supply to your heart, which leaves your heart deprived of oxygen. 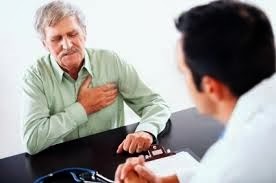 There are several types of angina; stable angina occurs when you are exerting yourself physically or feeling considerable stress. Stable angina does not typically occur more frequently or worsen over time. 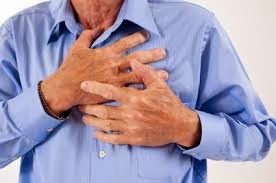 Unstable angina is chest pain that happens suddenly and becomes worse over time. It occurs seemingly without cause—you may be at rest or even asleep. An attack of unstable angina may lead to a heart attack. For this reason, an attack of unstable angina should be treated as an emergency, and you should seek immediate medical treatment. 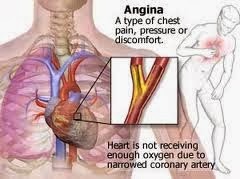 The main symptom of angina is chest discomfort/pain, but this sensation can vary from person to person. 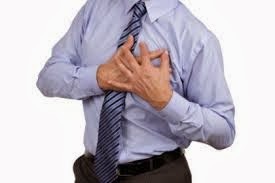 Sometimes unstable angina causes sensations that feel as if you are having a heart attack. 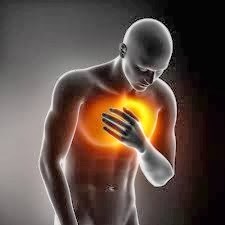 Coronary heart disease caused by a buildup of plaque (fatty deposits) along the walls of your arteries (atherosclerosis) is the principal cause of unstable angina. The plaque causes your arteries to narrow and become rigid. That constricts blood flow to your heart. When the heart is deprived of blood and oxygen, you will feel chest pain. Men 45 and older and women 55 and older are more likely to experience unstable angina. If you have a blockage or severe narrowing in an artery, your physician may recommend more invasive procedures. These include angioplasty, where a physician opens up an artery that was previously blocked. Your physician also may insert a small tube known as a stent to keep your artery open. In severe instances, you may require heart bypass surgery, which reroutes blood flow away from a blocked artery to help improve blood flow to your heart. Nonmedical treatment options also are often recommended. These include taking steps to lose weight, giving up tobacco use, or exercising more regularly. Taking steps toward a healthier lifestyle can improve your heart health and reduce the risk for future unstable angina episodes.